January 9, 2019 Yonkers, NY – Sarah Lawrence College faculty member Margarita Fajardo has been awarded a grant by the National Endowment for the Humanities to complete her book on Latin America’s influence on the global debate on economic development and capitalism after World War II. The grant is one of 253 totaling $14.8 million awarded nationwide to projects that support the humanities and preserve cultural heritage. Fajardo, the Alice Stone Ilchman Chair in Comparative and International Studies, will receive $60,000 to complete her book titled The World that Latin America Created. The book examines the contributions of a school of economists, sociologists, diplomats, and policymakers known as the “Cepalinos” to shaping the thinking about economic development and capitalism during three decades after World War II. 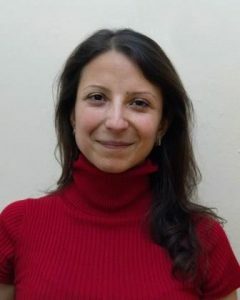 Farjardo, a historian whose focus is modern Latin America, is originally from Colombia and received her BA from the Universidad de los Andes, Bogotá, followed by her MA and PhD from Princeton University. She has published a number of scholarly works on Latin American history including: “Between Capitalism and Democracy: The Political Economy of Social Science in Latin America, 1968-1980,” which she co-authored with Jeremy Adelman; “The Arc of Development: Economists and Sociologists’ Quest for the State”; in the edited volume; the “Rise and Fall of the Developmental State in Latin America (Cambridge University Press, 2018), and “Circumventing Imperialism: The Global Economy in Latin American Social Sciences,” in Jeremy Adelman (eds) Empire and the Global Social Sciences, Bloomsbury, 2019. Professor Fajardo is a member of the American Historical Association (AHA), the History of Economics Society (HES), and the Latin American Studies Association (LASA). NEH Chairman Jon Parrish Peede said that the recent round of grants will fund projects that apply new technologies to innovative humanities research, help document, preserve, and ensure access to materials of critical importance to the nation’s cultural heritage, and support advanced research by humanities scholars. This entry was posted in Press Releases and tagged Latin America, sarah lawrence. Bookmark the permalink.